October 31st, 2015 - 10:40 pm § in Misc. 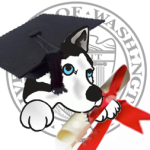 Is The UW Really The Number 1 Public University in The World? October 31st, 2015 - 1:35 pm § in Donald Trump, Misc. October 31st, 2015 - 8:37 am § in Donald Trump, Misc. October 31st, 2015 - 1:01 am § in Misc. October 31st, 2015 - 12:28 am § in Misc. October 30th, 2015 - 6:11 pm § in Misc. You are currently browsing the The-Ave.US blog archives for October, 2015.